The Lava Mini Soar Kit features 10-feet of 155" diameter, 99.99% pure OFC single conductor cable rated at 28 pF/ft capacitance. It's designed to be a super-affordable, great sounding patch and installation cable ideally suited for wiring pedal boards and racks. 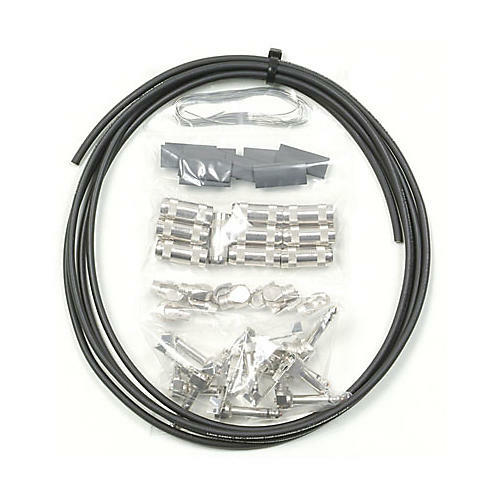 Each Do-It-Yourself (DIY) kit comes with 5 each G&H Nickel/Nickel right angle and straight plugs plus heatshrink. Soldering iron not included.